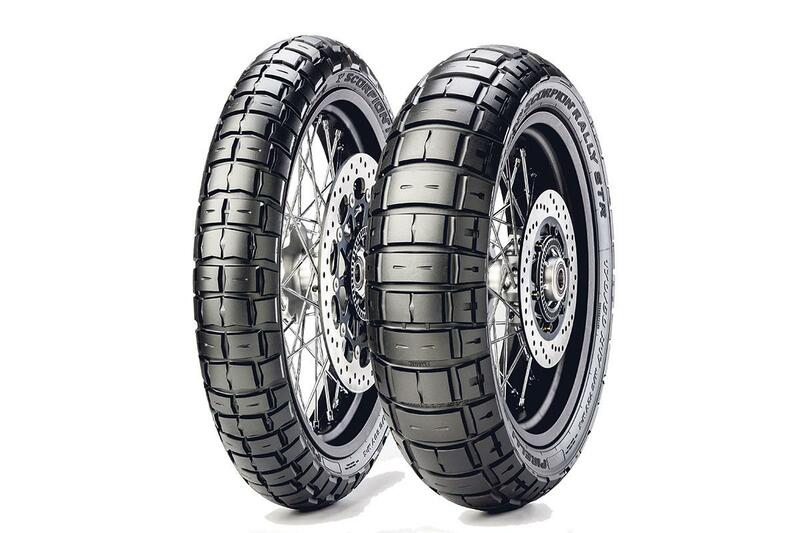 These new dual-sport tyres from Italian manufacturer Pirelli mix a rally-style tread pattern with claims of genuine on-road all-weather grip and feedback. Fitted as OE to Ducati’s 2017 Scrambler range, the new Scorpion Rally uses a street bike profile and internal structure to guarantee on-road handling and stability, but mixes it with a knobbly-style tread to give off-road grip too. The Scorpion’s rubber compound is high in silica to boost both wet weather grip and mileage. Available in 100/90-19, 110/80-19, 120/70-19 and 90/90-21 fronts, and 130/80-17, 140/80-17, 150/70-17, 170/60-17, 150/70-18 rear.